You might already know that the Microsoft releases a new build every week for the developers, which they call Insider Preview. The latest Windows 10 Insider Preview Build 17713 brings something exciting for the users. Well, it is not something big for sure, but definitely, something which would surprise most of you. 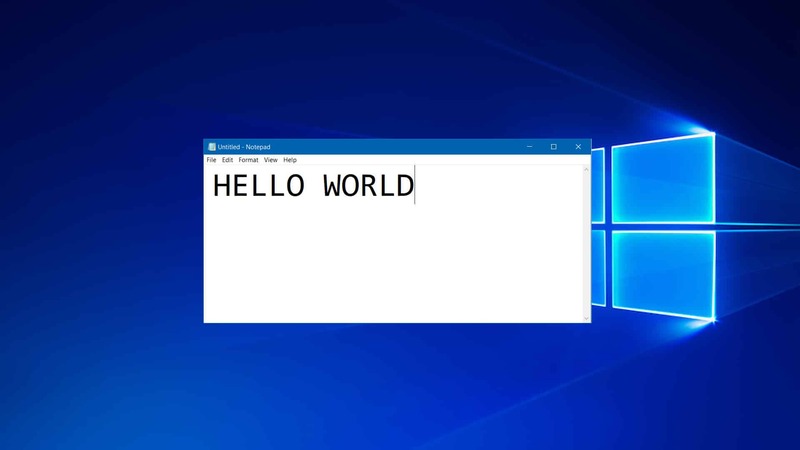 One thing that has been common since the era of Windows 10 is the Notepad. Though it seems like a very small or tiny utility which may not be useful at all for you, we never deny that it is one of the most powerful and valuable tools for the Programmers, Batch file creators and even writers for that matter. So finally, the Redmond has listened to the users complaining about the boring and uninteresting interface of the Notepad app. They have brought many changes in the app for the users, making it much better than what it is. 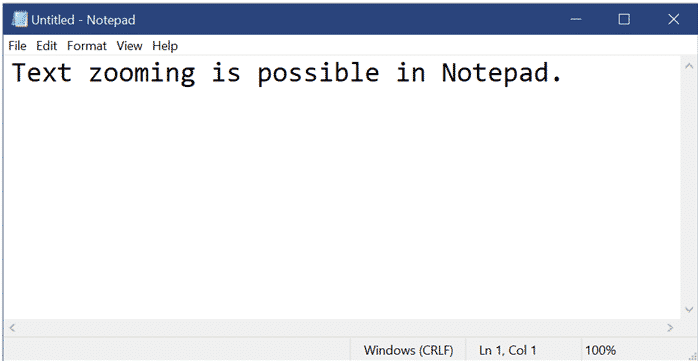 It is a while since we have seen Microsoft bringing some changes to its notepad app. But finally, it’s happening. This Notepad App is very useful for typing random text, creating batch files or HTML pages, etc. Well, if you are among them who uses the Notepad app quite often, then this would be useful for you. Users can now finally zoom into text. For doing this, all they need to do is press the down or up arrow while using the mouse wheel. Now one of the most requested features was to select a whole word and delete it. 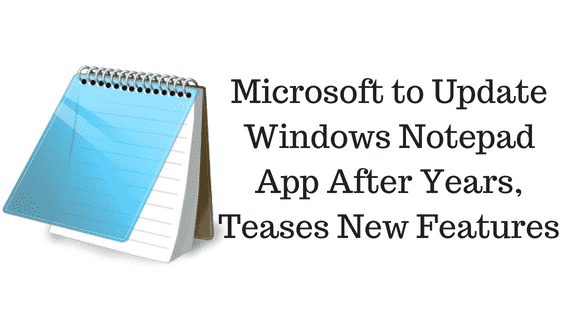 Microsoft is bringing this feature as well with the latest version of Notepad app. Users can now remove the previous word by pressing the ctrl+backspace key on their Keyboard. The users can now find and replace a word as well which is quite useful at times. The performance for large files is improved. The status bar is situated at the top by default in this latest version of Notepad App. Now for everyone else who is not on Windows 10 Insider Preview Build, don’t worry as you all will get this update quite soon with the Redstone 5 feature update. We don’t have any exact date for the same. Added the biometrics in a Remote desktop to offer more security. Added Media Autoplay controls for the Internet Edge. Dictionary function is added to the Edge PDF reader. So that’s it guys, this was our take on Microsoft’s Latest Update on Windows ‘Notepad App’ new features. Let us know what do you think about it in the comments section down.